Very Good. 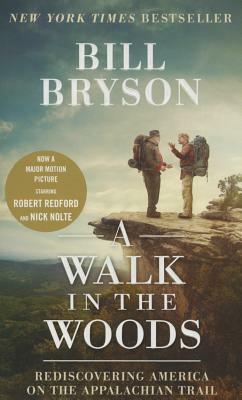 A Walk in the Woods: Rediscovering America on the Appalachian Trail by Bryson, Bill, 2015-08-18. Mass market (rack) paperback. Glued binding. Very Good. Trade paperback (US). Glued binding. From the author of "Notes from a Small Island" and "The Lost Continent" comes this humorous report on his walk along the Appalachian Trail. The Trail is the longest continuous footpath in the world, and it snakes through some of the wildest and most spectacular landscapes in America. by Bill Bryson. Great read. Highly recommended. What an absolutely wonderful book! When Mr. Bryson writes, you feel he is talking directly to you. And his use of wit and humor interspersed with his running journal of days on the trail...well, you almost want to get out the hiking boots and tent and start a walk in the woods! A fun read. This and "In a Sunburned Country" are among the better Bryson titles. Bill Bryson is a great writer and this book is one of his best. Have Just started reading this book, so I can not rate it, fairly. I can only rate what I've read so far, and it is true "Bryson." If you like Bryson's wit and style, this book will not disappoint you.